Arcade publisher Round 1 has announced they’re hosting location tests for a select number of Taito’s latest arcade games. 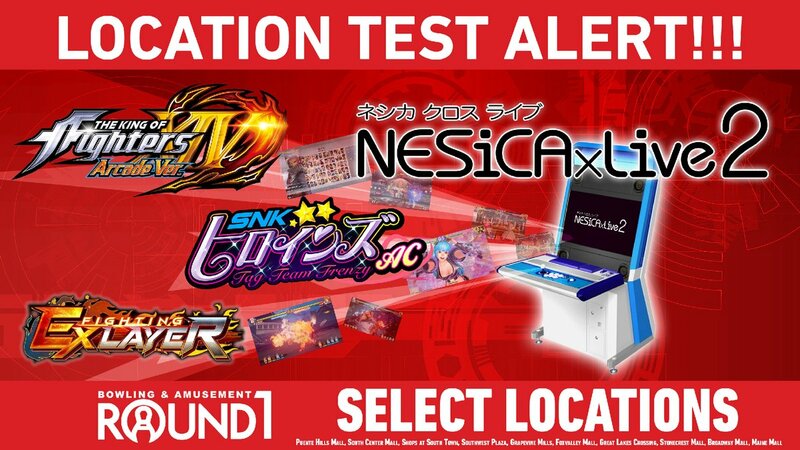 The company will host ten location tests for the NESiCAxLive2-powered arcade games like Fighting EX Layer, The King of Fighters XIV, and SNK Heroines: Tag Team Frenzy. Further details, like how long the location tests will run or if these tests could lead to a full nationwide rollout, weren’t confirmed.